Justices on the Massachusetts Supreme Judicial Court are considering Michelle Carter's appeal of her manslaughter conviction in the death of her boyfriend, Conrad Roy, after she encouraged him to kill himself. 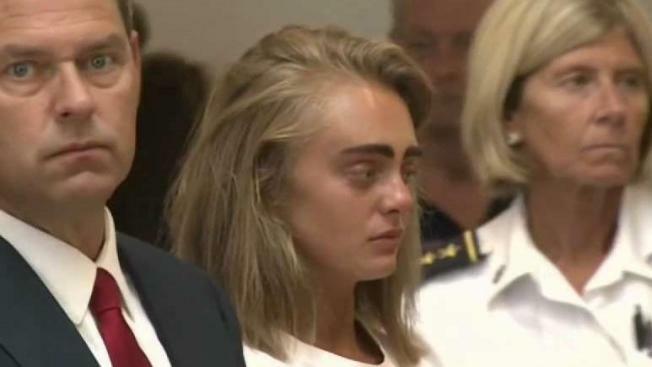 A woman who as a teenager encouraged her suicidal boyfriend to kill himself may have made bad choices but did not commit a crime, her lawyer told the Massachusetts' highest court on Thursday. Attorney Daniel Marx said Michelle Carter, now 22, was a misguided teen who was struggling with her own issues and had been trying to help Conrad Roy III. Roy. He said Roy was committed to ending his life and was responsible for his own death. "We can all see from the text messages that Michelle Carter did not force Conrad Roy to kill himself," Marx told the Supreme Judicial Court. "It was a tragic decision that he made." Carter was convicted of involuntary manslaughter in a trial last year that drew international attention due to the thorny legal questions and the insistent tone of her text messages to her boyfriend. A woman who encouraged her suicidal boyfriend to kill himself in dozens of text messages was sentenced Thursday to 15 months in jail for involuntary manslaughter. 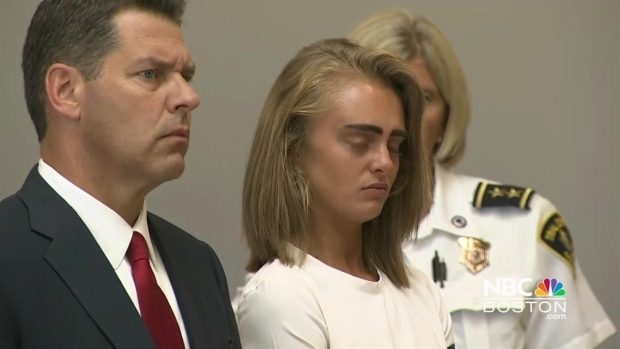 Juvenile Court Judge Lawrence Moniz gave Michelle Carter a 2½-year jail sentence but said she had to serve only 15 months of that. He also sentenced her to five years of probation. He granted a defense motion that would keep Carter out of jail until her appeals in Massachusetts courts are exhausted. The day Roy filled his truck with carbon monoxide in a Fairhaven, Massachusetts, store parking lot, then 17-year-old Carter texted him: "You keep pushing it off and say you'll do it but u never do. It's always gonna be that way if u don't take action." In convicting Carter, the judge, however, focused on how she told Roy to "get back in" after he climbed out of his truck as it was filling with the toxic gas and told her he was scared. The judge said Carter had a duty to call the police or Roy's family when she knew he was killing himself. But the only evidence Carter instructed Roy to get back in the truck was a long, rambling text she sent to a friend two months later in which she called Roy's death her fault, Marx said Thursday. He also said there is no evidence Roy's life would have been saved if Carter had called for help. Prosecutors say Carter pushed Roy over the edge, noting he had tried to kill himself several times before and backed out. In texts leading up to his suicide, Roy expressed fear and kept making excuses for pushing it off, prosecutors said in court documents. Carter was sentenced to 15 months in jail, but has remained free while she pursues her appeal. Joseph Cataldo, another one of Carter's attorneys, said she is "much changed" from the person she was in 2014, but he declined to elaborate on what she is doing now. This is the second time Carter's case is before the state's high court. The court ruled in 2016 that Carter had to face trial, saying the grand jury was justified in indicting her with involuntary manslaughter. The court is expected to rule in the coming months. When asked whether they would appeal the case to the U.S. Supreme Court if the justices don't rule in Carter's favor, Cataldo said they would consider all of their options.